This site describes a group of huge carnivores that must have tyrannically ruled the land during the Cretaceous period. They are known as Tyrannosauridae. 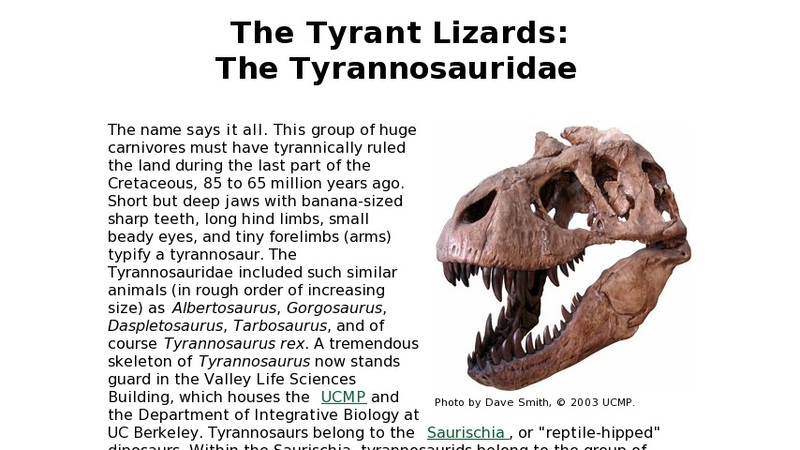 Members of this group are listed, including the well-known Tyrannosaurus rex. Their classification is described and links are provided for further study. In addition, information is provided on their movement and eating habits.